EXPERIENCE THE UNIQUELY CLASSIC WARMTH OF AUTHENTIC THAI HOSPITALITY IN ONE OF PATONG'S MOST LONGEST ESTABLISHED RESORTS IN THE HEART OF PATONG, IN PHUKET, SOUTHERN THAILAND. Welcome to Tony Resort Patong, a rare vintage in the heart of Patong. As one of the one of the longest-established resorts in Phuket, we have a legacy of authentic hospitality to live up to at Tony Resort Patong, where the warmth of traditional Thai hospitality lives on in an oasis of secluded tranquility. 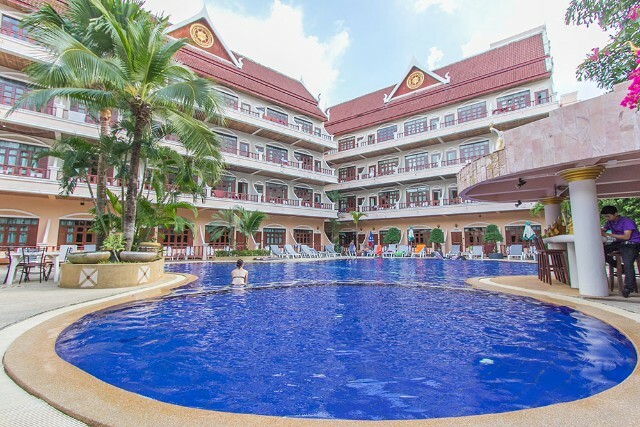 We invite you to get away from it all and relax by the large pool in a quiet and secluded corner in the heart of Patong, just a short walk from Patong Beach and right on the doorstep of Phuket's most vibrant night entertainment district. 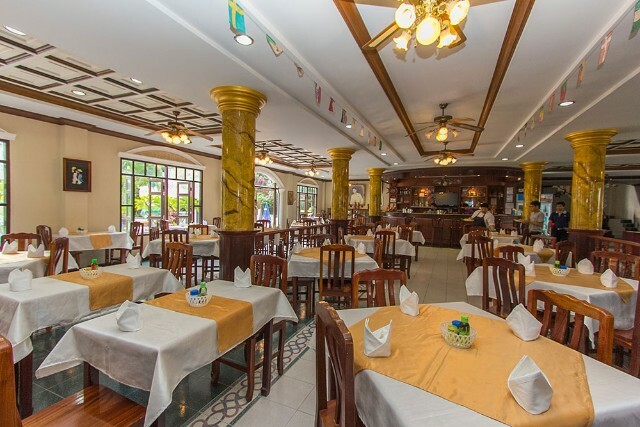 At Tony Resort Patong we make your holiday enjoyable and truly memorable with a variety of accommodation options in pleasant surroundings and the warmth of authentic Thai hospitality. Relax in rooms with luxurious, beautifully crafted classic Siam hardwood décor. Choose from five room types, ranging from affordable deluxe options to Pool Access and Pool View rooms – a romantic escape for couples Stay at Tony Resort Patong. Each of the rooms have a bathtub and come with half-board and full-board options. and 104sqm for the Family Suite. Our Deluxe rooms are decorated with a mixture of modern and Thai style. Each room contains a private balcony that allows our guests to enjoy the surrounding the hotel enviroment. 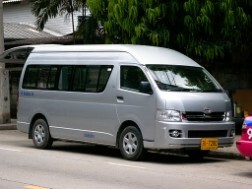 Pick up from hotel and start from sightseeing beaches. Most famous is Ao Phang-Nga National Park, a geological wonder filled with islets, sunken caverns and startling rock formations rising sheer out of the sea. The bay is extremely sheltered ideal for expeditions of sea canoes to explore the many fascinating caverns with their own eco-systems. 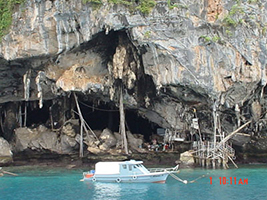 Visit the big Buddha cave on the way to Phang Nga bay and take the boat to a mangrove jungle, Thamm Lod: this cave has beautiful stalagmites, stalactites and the boat can go through to another side of the cave. Koh Panyee: this small island has a picturesque village, which rests precariously on small pilings and extends out across the water. 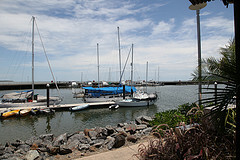 It is inhabited chiefly by Muslim fisher folk. Sight seeing on Phang Nga bay and stopping at Kao Ping-Kan, Kao Tapoo or James Bond Island. Pick up from hotel and transfer to Ao Por Pier. Swimming and relaxing at Nakare lsland. Back to Ao Por Pier and transfer to Hotel. After check-Out at hotel 07.15 Am pick up form Hotel Let know about Phuket. Visit Chalong Temple the most important Buddhist temple and is the biggest templeand is the biggest temple in Phuket, wishes for good health and good luck. Visit Cashew Nut Factory that you can taste a variety of your favorite cashew nut and observe nut cooking (roasting). You may select one for your souvenirs. 07.15A m Pick up from hotel and start from sightseeing beaches. is one of the island's most important and revered landmarks. around Thalang, Dibuk and Krabi roads. Play with baby elephant and take picture.